I finally completed the triptych of the weapons of Supernatural. 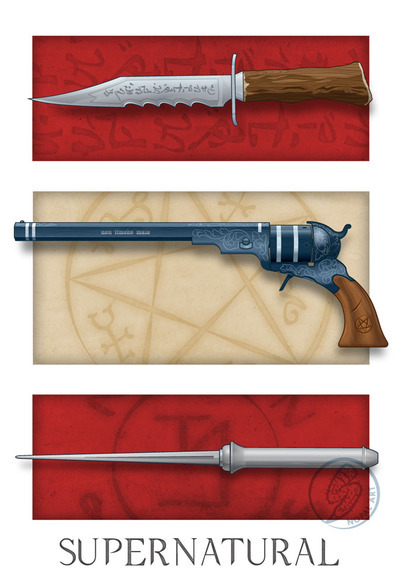 I was inspired to create illustrations of the weapons based on a prop replica I have of the demon-killing Colt pistol. It was such a detailed replica, it served as a great reference piece throughout the process. 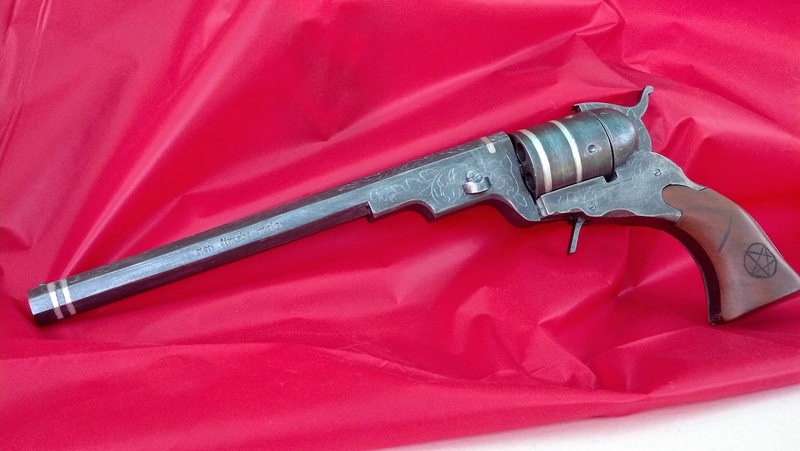 After finishing the Colt, I figured it would be nice to pair that with the Angel Sword. One thing led to another, and before I knew it, I had completed Ruby's Demon Knife as well. The hard part was finding a composition that did them justice. I ended up with two compositions for the final prints. One was a traditional three piece triptych and the other was a single print with the weapons displayed vertically. Both versions are available in the shop. Hope you enjoy!